Across the globe, corporations are helping to fuel the clean energy movement and are using solar energy to power their operations, providing consumers a choice to support solar when shopping. Large U.S. corporations installed 326 megawatts of solar panels in 2017, and now more than 4,000 U.S. companies have installed solar energy systems, according to the Solar Energy Industries Association. Corporate investment in renewable energy is boosting solar energy deployment as companies work towards sustainability goals and cut operating expenses. As the cost of solar energy falls, solar has become a cost-effective source of new power generation. Many of the solar-powered corporations consist of retailers and IT companies. 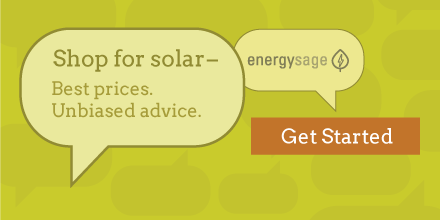 Let’s examine some of the retailers that are leading the way in solar energy installations. With more than 200 megawatts of total solar energy capacity or enough electricity to power 33,000 homes, Target is the leading retailer for solar energy capacity, and it installed a whopping 40 megawatts of capacity last year. With over 1,800 stores total, Target has a goal to have solar panels on 500 stores and distribution centers by 2020, and it is well on its way with 422 solar systems. In addition, Target has solar systems with battery storage at six locations in Hawaii. In second place, Walmart has installed nearly 145 megawatts of solar panels and added a relatively modest amount of solar energy capacity in 2017 compared to Target. With over 5,400 stores and a total of 371 solar energy installations, less than 10 percent of stores have solar energy systems. When considering Walmart’s scale, its solar installations seem less impressive than Target and IKEA in particular. Kohl’s has 160 solar installations. Image: Kohl’s Illinois, Inc.
With 52 megawatts of solar capacity, Kohl’s has 160 solar installations in its 1,158 locations. As a solar energy pioneer, many of these systems were installed before 2010, and the company made only modest solar capacity improvements in 2017. Kohl’s is also a leader in water and energy conservation, thus greening its operations in many ways. Taking fourth place, Costco has 85 solar installations and 51 megawatts of installed solar energy capacity. The lion’s share of these systems was installed in 2016 with very modest additions since. Costco also has Sunrun kiosks in its stores for residential solar installations and sells solar panel kits. Trailing close behind, IKEA has 45 megawatts of installed solar energy capacity at 46 solar energy projects. What is really impressive about IKEA is that roughly 90 percent of its stores have solar energy installations. The retailer also sells solar panels with battery storage in the United Kingdom, Poland, Switzerland, the Netherlands, and Belgium for residential applications and is now working on phasing out single-use products. This Swedish-founded company recently installed over 4,700 solar panels on a new store that opened in May. “Ikea strives to create a sustainable life for communities where we operate, and Ikea Oak Creek is adding to this goal with Wisconsin’s largest rooftop solar array,” said Samantha Gravina, manager of the Oak Creek store. Feature image: solar panels on Walmart store. Credit: Walmart Inc.